The Forts of Maharashtra played an important role in the emerging Maratha Empire. They were the strongholds which made our history glorious.One such fort which witnessed some dramatic events in the life of Shivaji Maharaj was Panhalgad. The fort was built during the regime of the First Shilahar king Bhoj Nrupsingh. In the olden days it was ruled by people of tribal caste Nag and was known as Pannnagralya. After the assassination of Afzalkhan, Shivaji Maharaj took advantage of weakening of Adilshahi and won Panhalgad in just 18 days (on 28th November 1659). It was further captured by Adilshah, but the Marathas regained the fort. On 2nd March 1660, Siddhi Johar set the siege to Panhalgad. We are aware of the famous incidence where Shivaji Maharaj crossed the God Khind and went to Vishalgad. At that time Panhalgad was captured by Siddhi Johar. In 1673, Kondaji Farjand captured the fort with just 60 soldiers. In 1710, Panhalagd became the capital of Kolhapur. It was captured by British in 1844. The fort has a great history and trekkers have a lot to learn from that. Places on Panhalgad are worth visiting. Being a huge fort, we find many monuments here. Panhalgad also has a Municipal corporation. Maratha Queen Tarabai stayed in this palace. There is a beautiful Temple here. Now, the Municipal Corporation office, Panhala High school and military boys� hostel is situated there. As we move further from the palace, we come across Sajjakothi. Sambhaji Maharaj stayed in Sajjakothi when he was on Panhalgad. 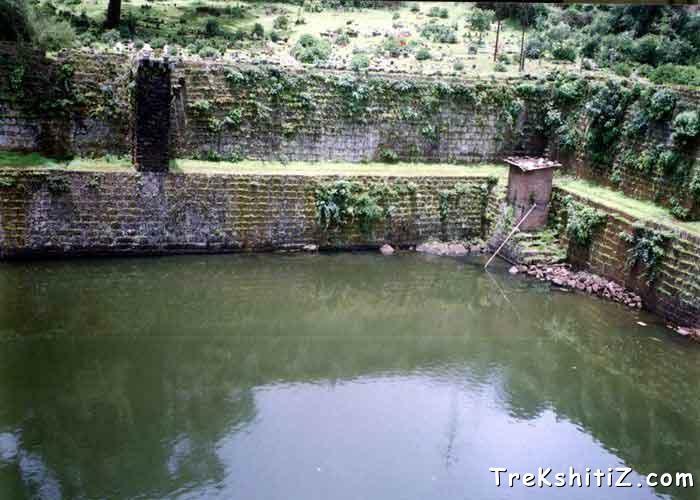 This was the place where confidential meetings of Shivaji Maharaj took place. This is a tough way which travels down from the fort. Shivaji Maharaj managed to escape this way during the siege of Panhalgad, and went to Vishalgad, which is 45 miles away. This was initially the Balle-Killa or the citadel on the fort. Nearby Ambarkhana is a Khandak. Here there are 3 buildings named Ganga, Yamuna, and Sarasvati, which were used for storing grains. Vari, Nagli, and Rice were stored here. Approximately 25 thousand Khandi food grain could be stored here. It is situated on the eastern side and was very important from security point of view. The British demolished it in 1844. Near the market on the fort is this big lake. On the lake side is a beautiful Temple of Someshwar. Here Shivaji Maharaj and his associates offered 1000 Chafa flowers. As we move from Someshwar Lake we come across 2 Samadhi. One is of Honorable Ramchandra Amatya and the second is of their wife. A still further way takes you to the Rede Palace. Initially it was a stable for horses, but later cattle were kept there. So it is called as Rede Palace. Ahead of Rede Palace is Sambhaji Temple, which is actually a small citadel. Near the Sambhaji Temple, we can see a spacious structure which is recognized as Dhramakothi. Her grocery was donated in charity. Stepping out from the Palace, near the Nehru Garden, this is the oldest structure on the fort. It is almost 1000 years old. It was the deity of Bhoj King Gandaritya. This entrance is on the western part, and its carvings worth seeing. In 1676, Kondaji Farjand opened this door with 60 soldiers to conquer the fort. This is a 3 storey monument. There is a well in the base, and a secret way to escape from the fort. This place is not on the fort. It is near the bus stop. From Kolhapur city you can easily opt for a Bus or hire a vehicle which takes us to the top from Char Darwaja. This is another way which goes to the fort from 3 Darwaja. Hotels and restaurants are there on the fort, good accommodation and food facility. Good water facility through out the year. One can reach Panhalgad from Kolhapur city in one hour by vehicle.